Days after confirming that a second summit between North Korean leader Kim Jong Un and President Trump would take place in late February (after a breakthrough in talks in Washington between Mike Pompeo, Trump and North Korea's former spy chief), Bloomberg has reported that a tentative location has been decided: Hanoi, the capital of Vietnam. The meeting will likely take place in Hanoi, the capital of the still-nominally-Communist nation, but Danang, the site of the 2017 APEC meeting and Ho Chi Minh City have also been discussed. The agreement to host the second summit came after a 90-minute White House meeting between the president and Kim Yong Chol, who is now one of the North Korean leader’s top aides. Kim had previously met Friday with Secretary of State Michael Pompeo at a Washington hotel. A previous meeting between the two men, which had been expected in November, was canceled after talks between the two countries hit an impasse over North Korea's demands that the US agree to a gradual schedule of sanctions relief. Trump and Kim held their first meeting in Singapore in June 2018, and said soon after that they would like to meet again. Since then, Kim has held three historic meetings with his South Korean counterpart Moon Jae In, and a possible end to the Korean War has been discussed. 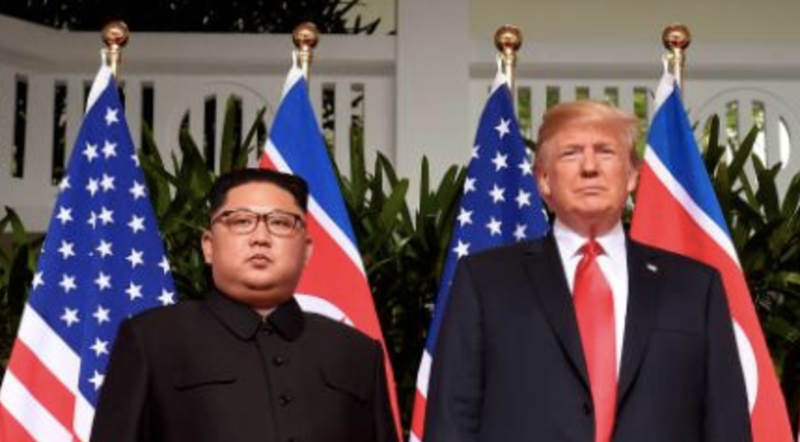 To be sure, while the summit is good optics for both sides, analysts doubt that a breakthrough on denuclearization can be reached unless the US abandons its position that there will be no sanctions relief until the North has completely denuclearized.